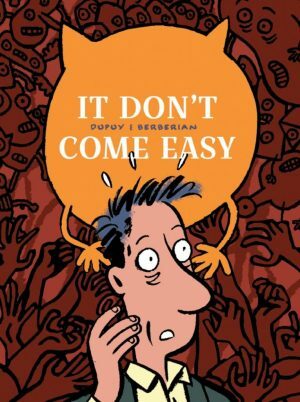 Some of the most astute social comedies ever seen in comics filter through the perceptions of French creators Philippe Dupuy and Charles Berberian, and they’re all the more impressive for being achieved with only the mildest cutting commentary. Their central character and his Parisian friends progress through life as the creators also age, with Monsieur Jean starting life as single in his late twenties, on the cusp of literary success. Their chronicling of his life began in 1989 in brief sequences, before progressing to full albums. 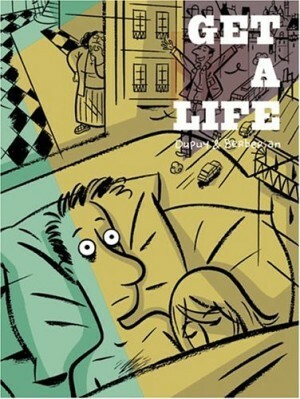 It’s the shorter material of the first three French albums gathered in Get a Life. This is, in part, due to Dupuy and Berberian being an equally skilled writing duo. 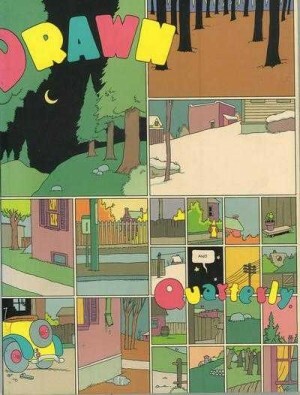 They have a brilliant sense of comic pacing, and of poignancy. 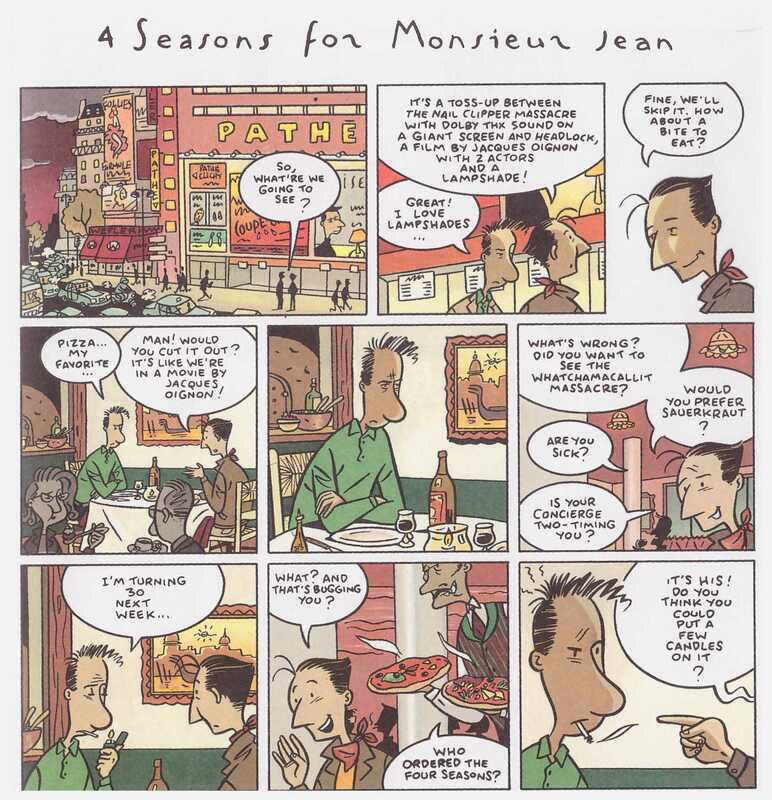 The opening strip, while not yet showcasing the fully developed art style, delivers that as the concierge from Jean’s apartment block, Madame Poulbert, and her friend jealously speculate on Jean’s dissolute lifestyle. The concierge retreats to her flat in time to catch a TV announcer referring to Jean as the toast of the literary scene, completely reversing her opinion. Get a Life is rooted in Parisian culture, yet this is exotic and alluring rather than alienating, and the cast gradually expands to incorporate Jean’s wider circle of friends. The one with the greatest staying power as a character is the selfish and irresponsible Felix, memorably designed with a sharp nose and receding hairline, and forever with problems largely of his own making. A feature of the series from the earliest strips has been Jean’s daydreams and actual dreams, fantasy elements in which he recasts reality, most memorably in a short tale of a poor review setting off a bad day. By the final tale here Jean’s circumstance have changed, and it’s a fine place to draw a line. Instead Dupuy and Berberian broadened their horizons and continued with four full length albums, the first two of which were nestled among similar superior quality material among the anthologies Drawn & Quarterly 3 and 5. 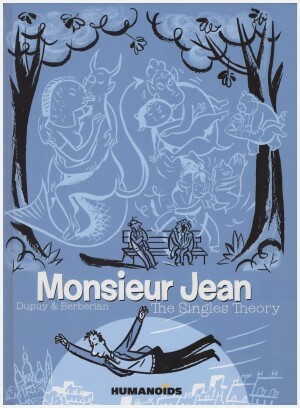 All the Monsieur Jean material originally published by Drawn & Quarterly has since been re-issued by Humanoids as Monsieur Jean: From Bachelor to Father, and they’ve continued the series with The Singles Theory. 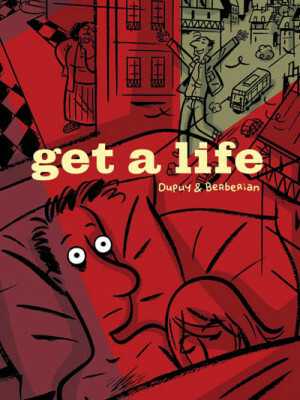 A large format complete edition has its attractions, but far more thought has been applied to making Get a Life an attractive package overall, from the dust jacket concealing the fine debossed cover to the insightful introduction from Paul Gravett. You pay your money, and you take your choice. 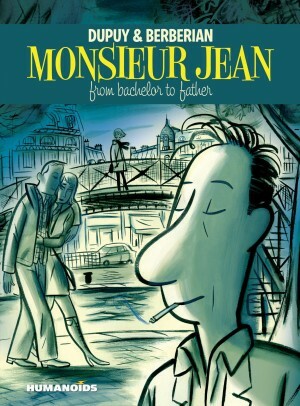 The remaining Monsieur Jean books are collected in a similar format as It Don’t Come Easy, and possibly also of interest may be the creators comic diaries considering their working methods and putting together a Monsieur Jean story in Maybe Later.